Your request is sent as an email to the registered contact with us at NETZSCH Pumpen & Systeme GmbH. NETZSCH - Experts in Pump Solutions for more than 60 years. For more than 60 years, NETZSCH has manufactured positive displacement pumps worldwide. Designed specifically for difficult pumping situations, NETZSCH pumps range in size from the industry’s smallest metering pumps to high volume pumps for applications in the oil and gas or mining industries. With a production of over 55,000 pumps per year NETZSCH underlines the technology and market leadership, which it has gained thanks to the quality of the pumps and spare parts. It is guaranteed by the core competence and vertical manufacturing which we have built up over the many decades. With the worldwide implementation of common standards in accordance with DIN EN ISO 9001 in development and research the company guarantees the highest quality at each of the five production sites. 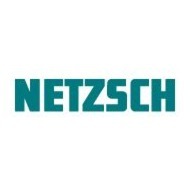 NETZSCH has been supplying worldwide NEMO® progressing cavity pumps, TORNADO® rotary lobe pumps, NOTOS multi screw pumps, macerators/grinders, dosing technology and equipment for custom built and challenging solutions for every applications.